This paper takes root from « Valeur(s) & Management« , the collective work of 19 specialists in all fields of corporate performance methods, including a chapter on Business Analysis and another on ‘cartographie d’affaire’ by Cédric Berger, president of IIBA Geneva. afaV members have been participating in the launching of the IIBA France Chapter and still are regularly associated with IIBA actions in France and Switzerland. 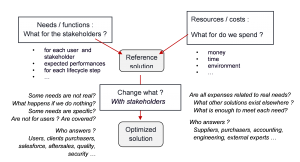 This collaboration is built on the close relationship between the afaV experience in the design of optimal solutions for product, systems and process, including IT and organizations, and the mission of IIBA as “the disciplined approach for introducing and managing change to an organization”. BA and VA obviously share a lot ! 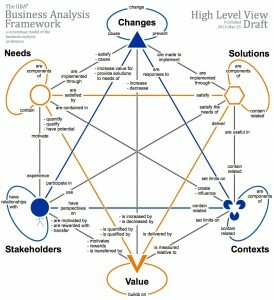 These concepts have been linked to the ‘systems theory’ developed by L. Von Bertalanffy and formalized by JL Le Moigne . 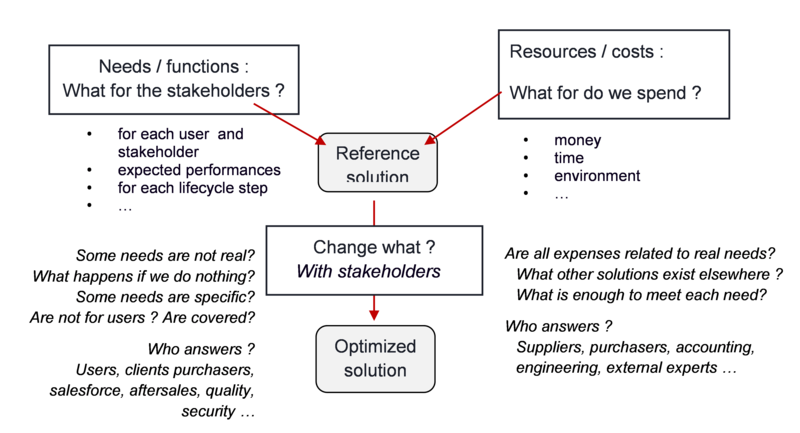 Lots of tools have been developed to help teams and facilitators efficiently apply this, including to IT and organization. 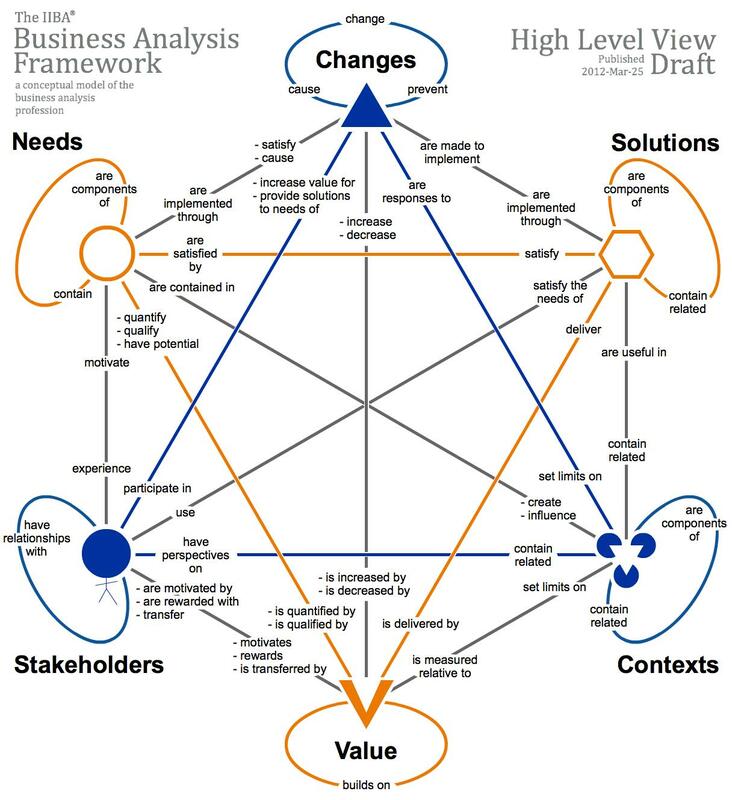 We believe this shows that collaboration between Business Analysts and other value specialists could bring significant improvements in the application of the BA core concepts ?